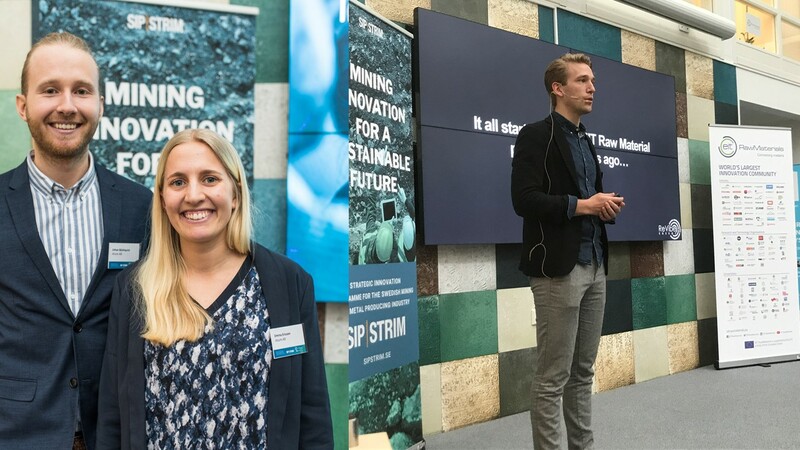 At the beginning of the year, just over 30 contributions were submitted to the innovation competition, which aims to strengthen the Swedish and European mining and metal industry. Based on these, the jury picked the twelve most promising innovation that got to pitch their ideas at Luleå Science Park on February 13th. After a tough deliberation, the jury decided on two winners: Atium AB and ReVibe Energy, who will receive SEK 600,000 each to realize their innovations. Atium AB won the award for their solution for a more efficient and sustainable purification of water from mercury. Emma Ericson and Johan Björkquist who have run Atium together for 1.5 years are behind the idea together with the scientist Björn Wickman. – This feels absolutely incredible, we are so happy and grateful. The award makes it possible for us to develop a small-scale prototype that we can show to potential clients. Validating the technology on a small scale is extremely important in order to attract both customers and investors in the future, in order to later be able to scale up the technology, says Emma Ericson. Matz Sandström from SIP STRIM and chairman of the jury motivates the jury’s decision like this. – Many industries, including the mining industry, handle mercury in process and waste water. The jury saw great potential in Atium’s idea because mercury ranks as one of the ten most dangerous substances for human health and is a global problem. In addition, there are opportunities to develop the method for purifying water from other heavy metals. The second award was presented by EIT RawMaterials and went to ReVibe Energy for their innovative solution with wireless recording and analysis of vibrations and shocks for monitoring equipment in mining and industrial environments. Over 70 participants from the industry joined us at the event. So even for those who did not win the prize, there is still a good chance that the competition led to new contacts that in the long run can lead to new ventures. – This competition is extremely important to us. It helps us find innovations that are normally developed by small companies or start-ups, but can be of great benefit for larger companies. Otherwise, these innovations may find it difficult to find their way to the market. These types of innovative start-ups are an important part of the innovation system, says Jenny Greberg, program director at SIP STRIM.